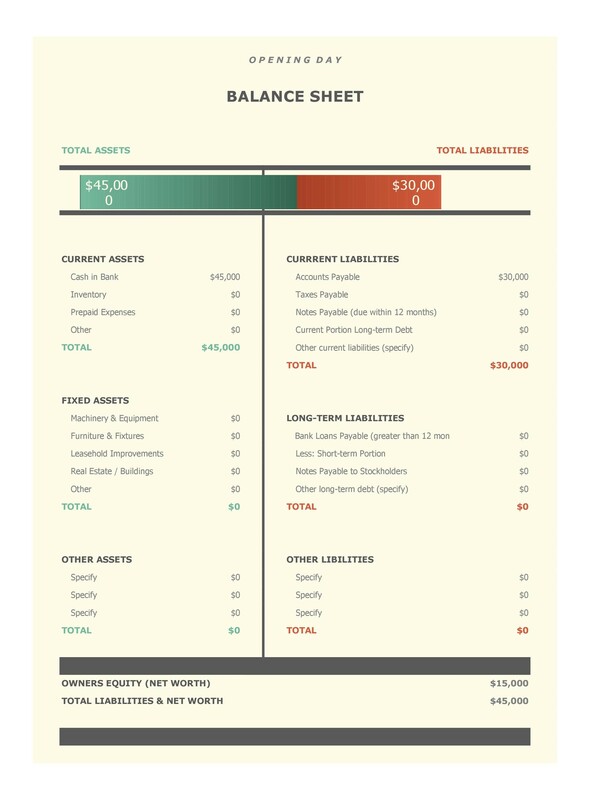 A balance sheet helps individuals and business owners understand where their finances stand during a specific time period. 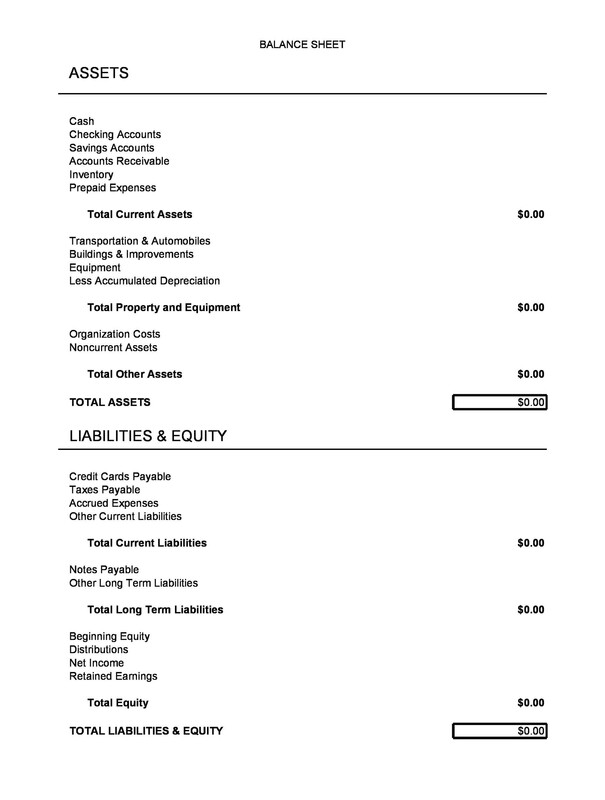 A person reading a balance sheet can learn a lot about a business and its viability. 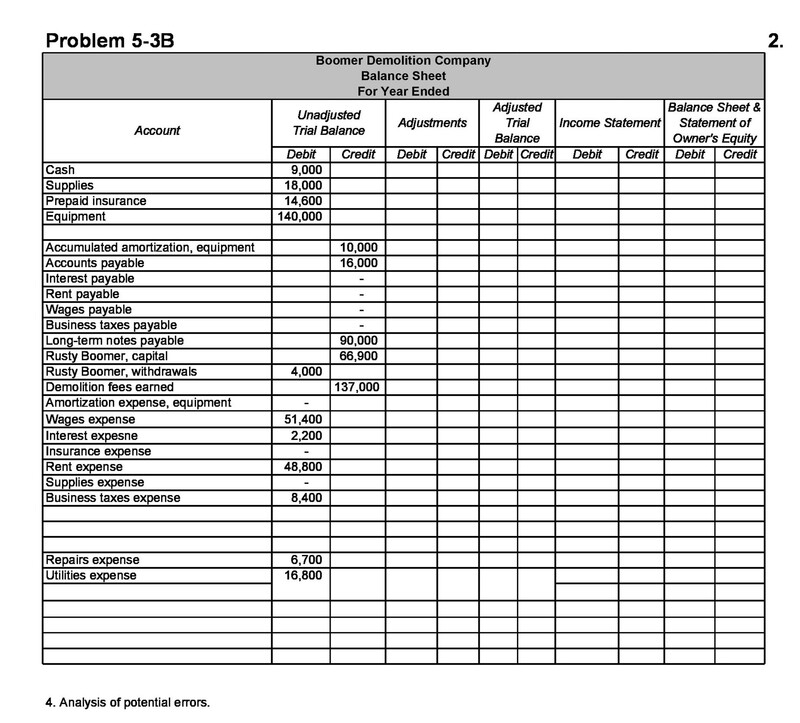 If you’re running a business and looking for potential investors, or you’re an individual readying to approach lenders, you will be asked for a copy of financial statements. For businesses, the finances to be reviewed are the balance sheet, income statement, statement of retained earnings, and statement of cash flows. An individual will have similar information that can be used on a balance sheet, but it is primarily used to give an overview of investments and assets. 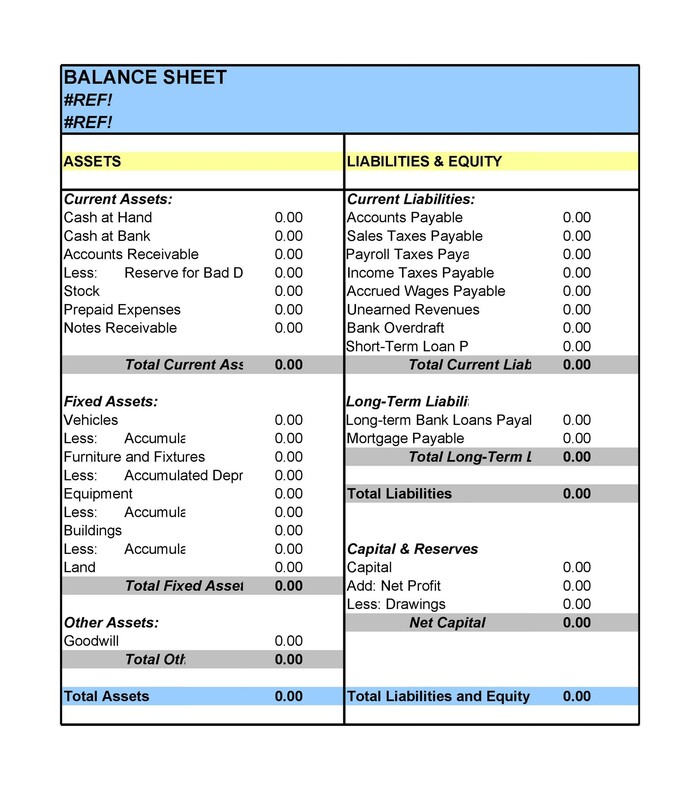 2.1 How Are Assets Valued on a Balance Sheet Template? 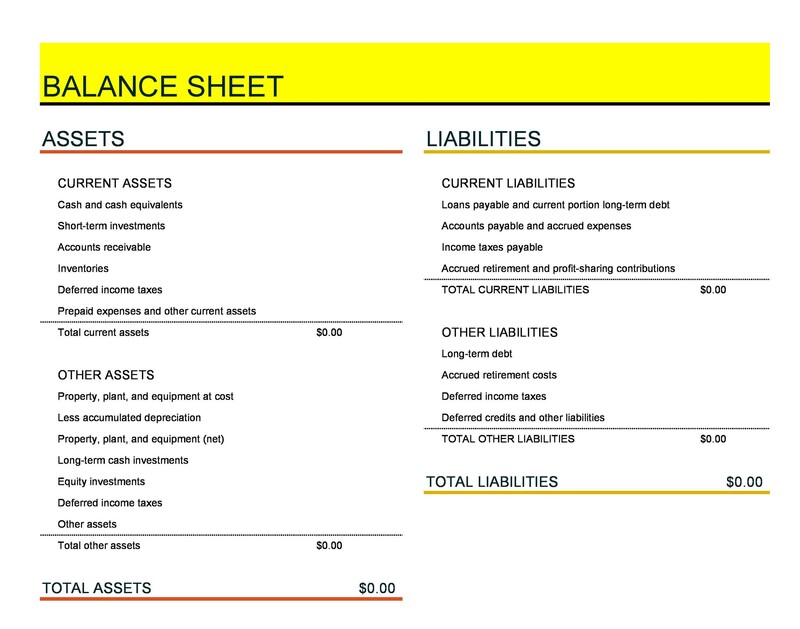 2.3 How Are Liabilities Valued on a Balance Sheet Template? 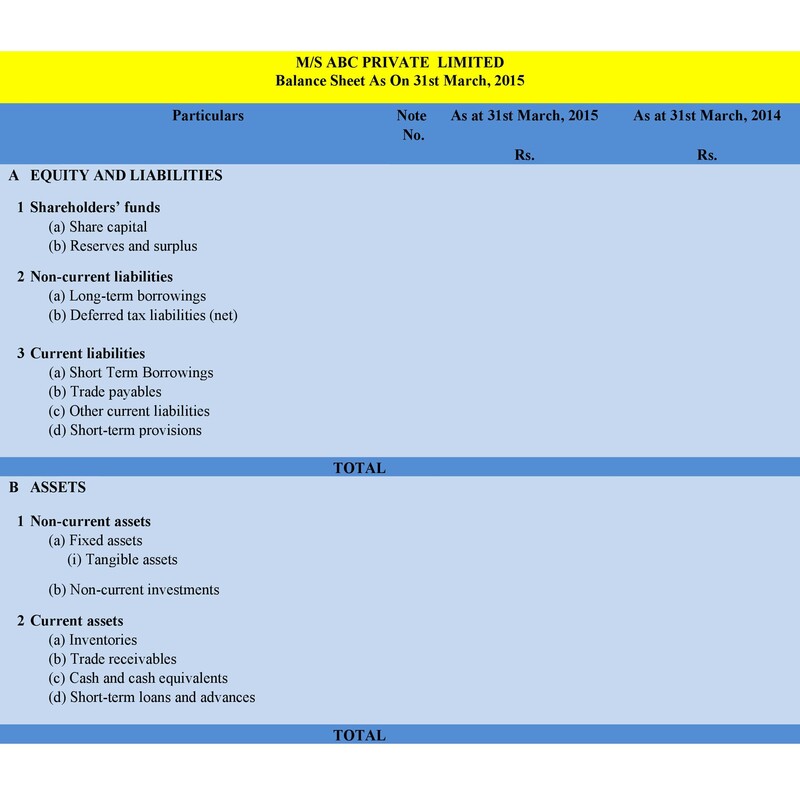 2.4 How Is Equity Valued on a Balance Sheet Template? 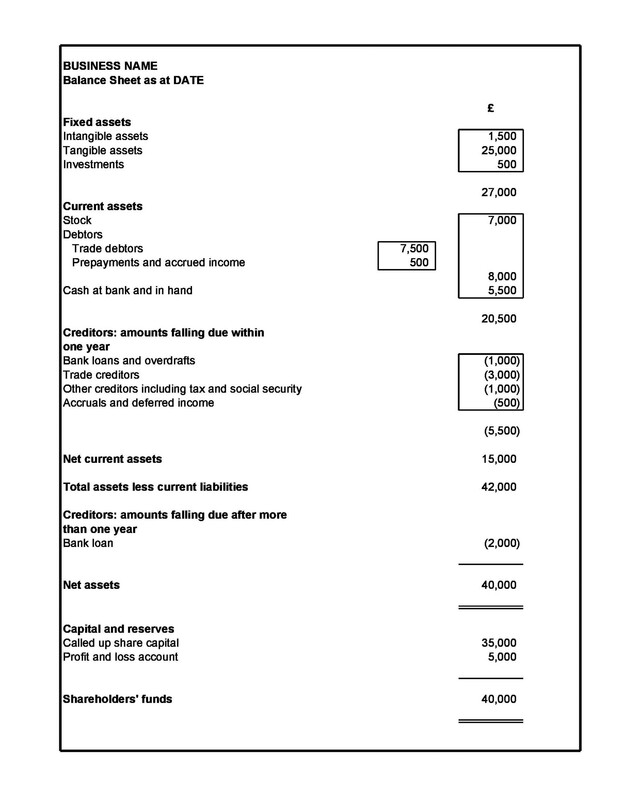 3.1 What Counts As Assets on a Personal Balance Sheet Template? 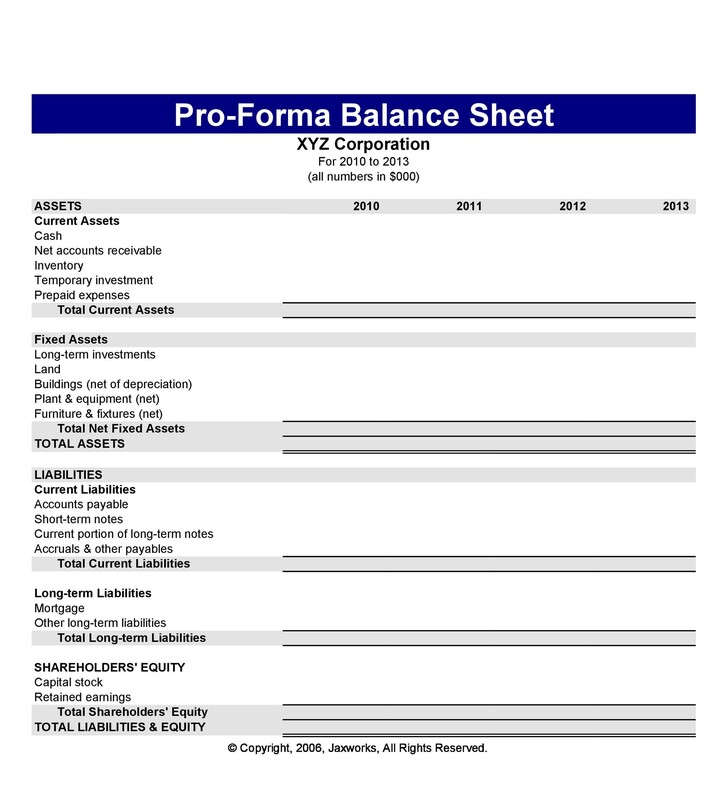 Why is a Balance Sheet Important for Businesses? 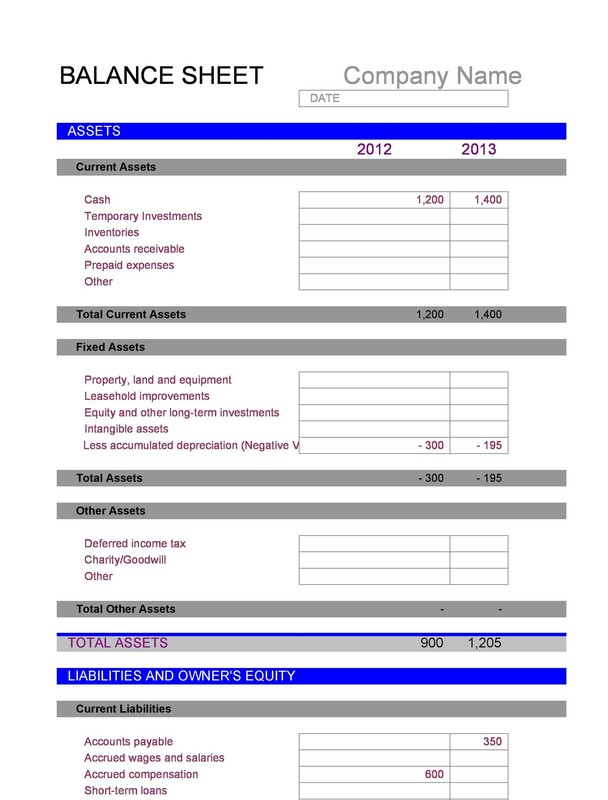 Balance sheets are important because they it gives a snapshot of your business. The information it gives to any potential investors or lenders helps them understand how business is functions. It helps them learn about its principal resources are and any threats to its growth. 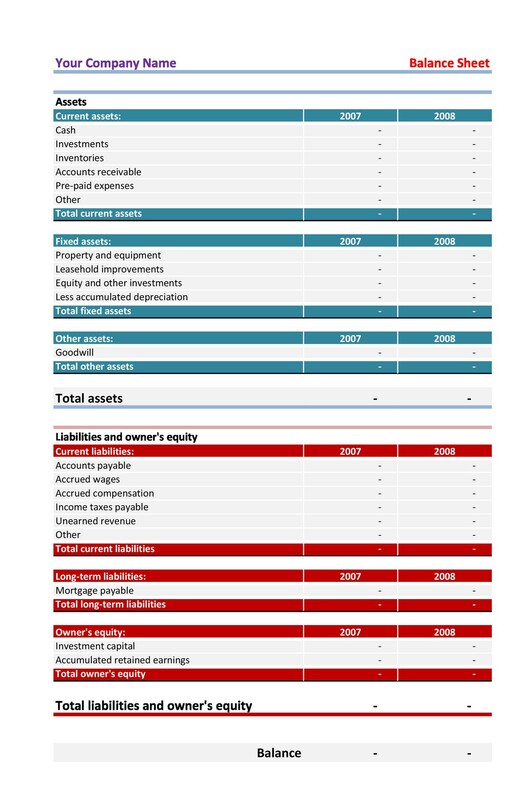 Alongside an incomes statement and balance sheets, potential stakeholders can see trends over time, check ratios and balances. It can even show places where you could put cost-cutting measures in place. Small businesses can make many decisions with an accurate overview of their financials. When you’re aware of your numbers, you can examine and understand which tasks cost the most, and how that affects your business overall. Sometimes you will find that you will save money by automating or outsourcing certain business functions. You can improve your company’s outlook and balance sheet over time by taking cost-cutting measures based on actual numbers from your sheet. 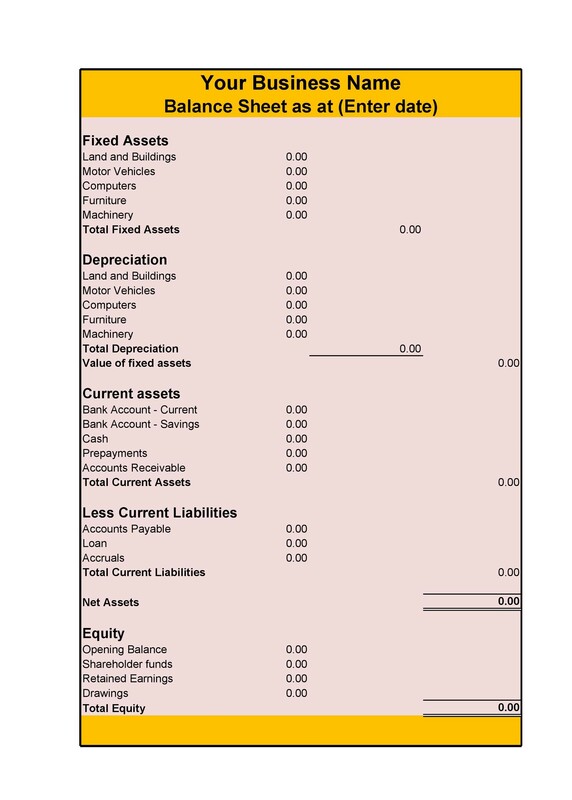 Over time, your balance sheet will become one of the most important aspects of your business. It’s the first thing a loan officer will ask to see. 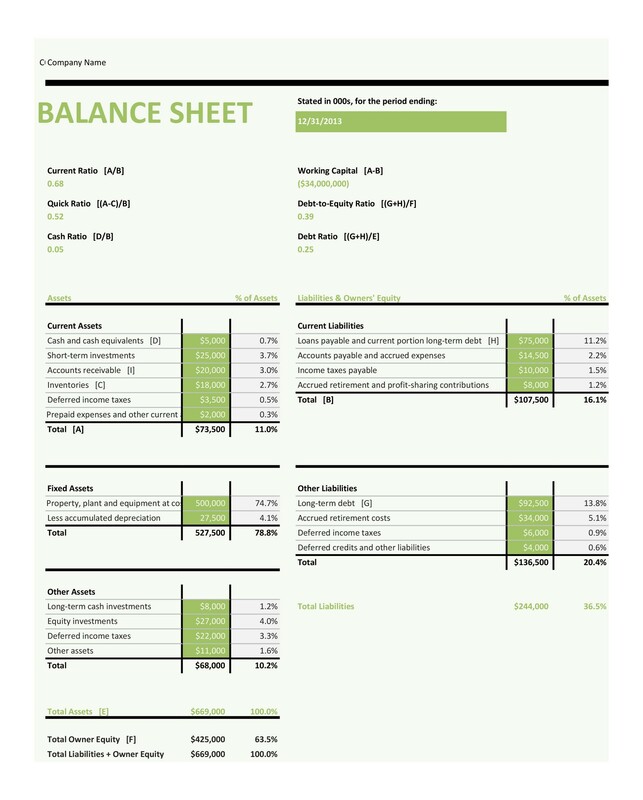 When making up a balance sheet, you’ll want to look for at least one balance sheet example. 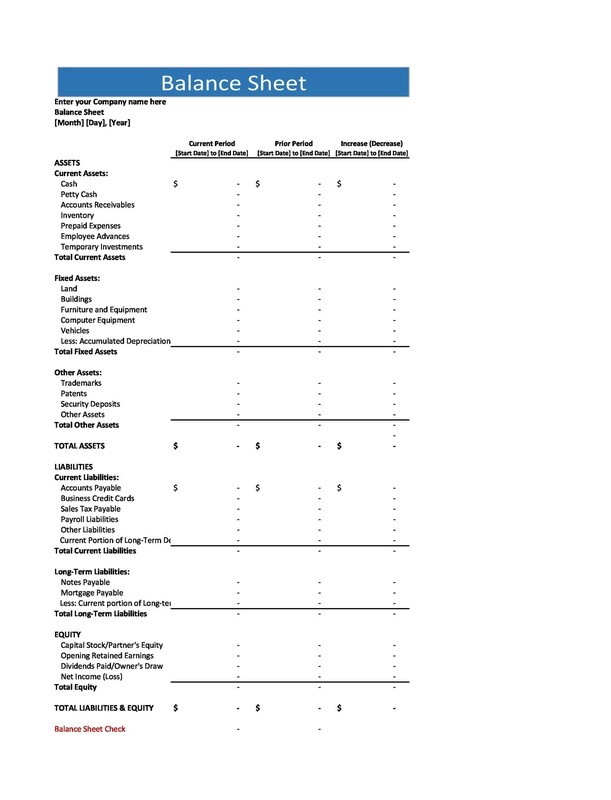 We have several free templates, some with examples, on this page that you can look at to gain a clearer understanding of what it’s all about. 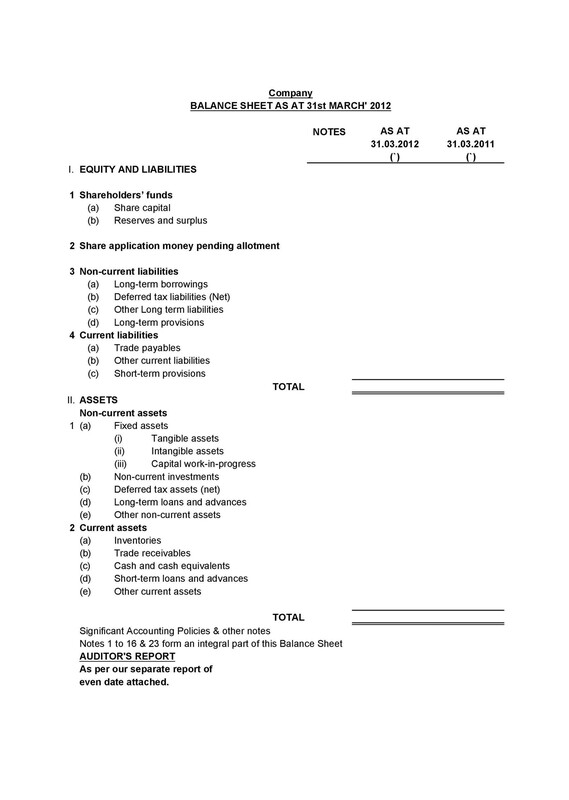 To understand your balance sheet, you should have some basic knowledge of business accounting. It will be useful when looking at your business’s debits and credits. These are the numbers that you want to balance. 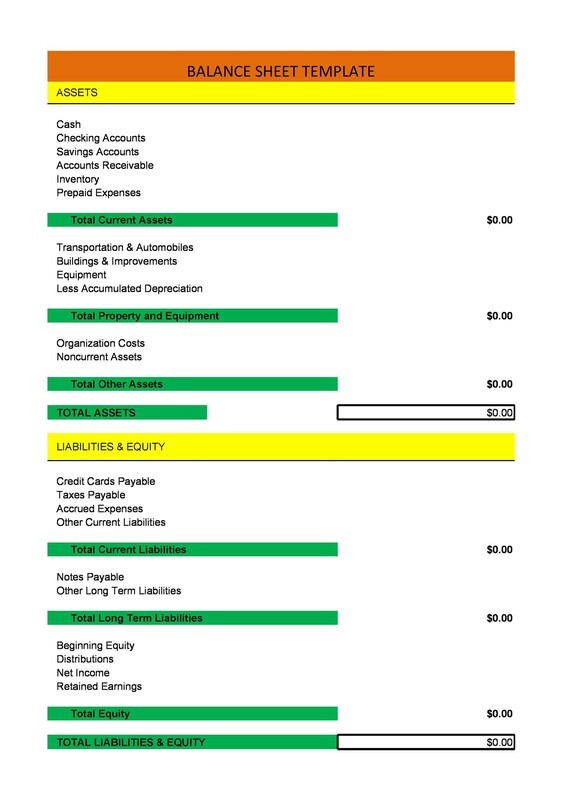 A basic formula to remember in accounting is Assets = Liabilities + Equity. 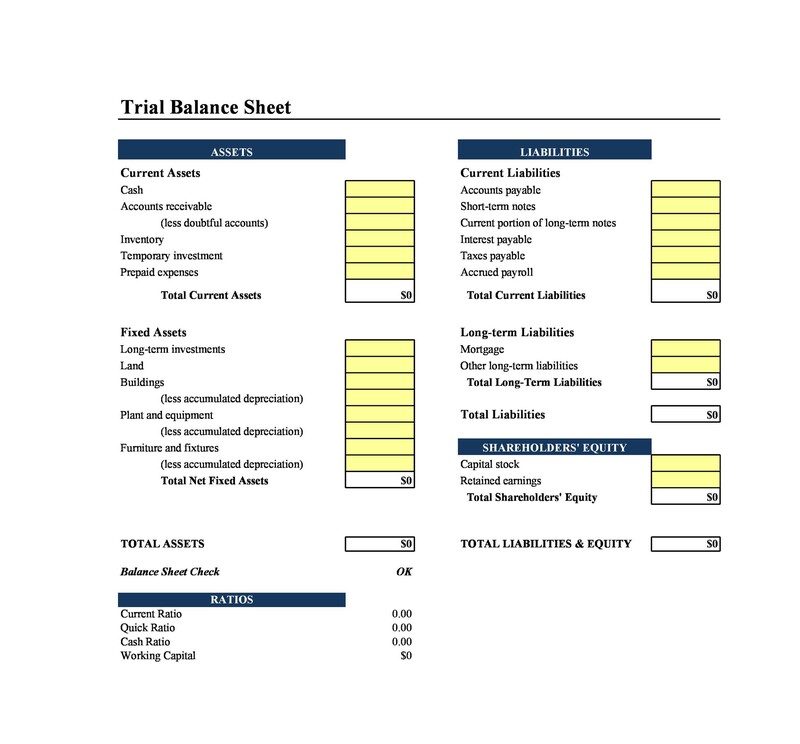 Most balance sheets will be organized into three sections. 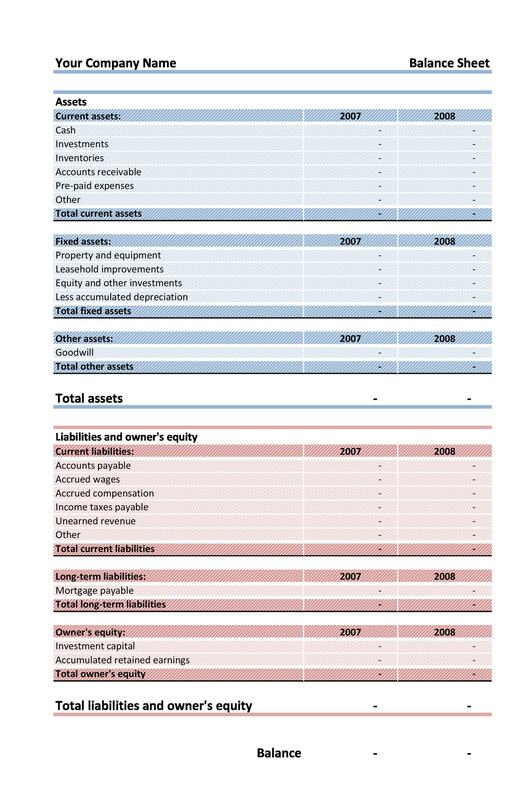 These section will contain 3 subtotals, one for assets, one for liabilities and, if relevant, equity. 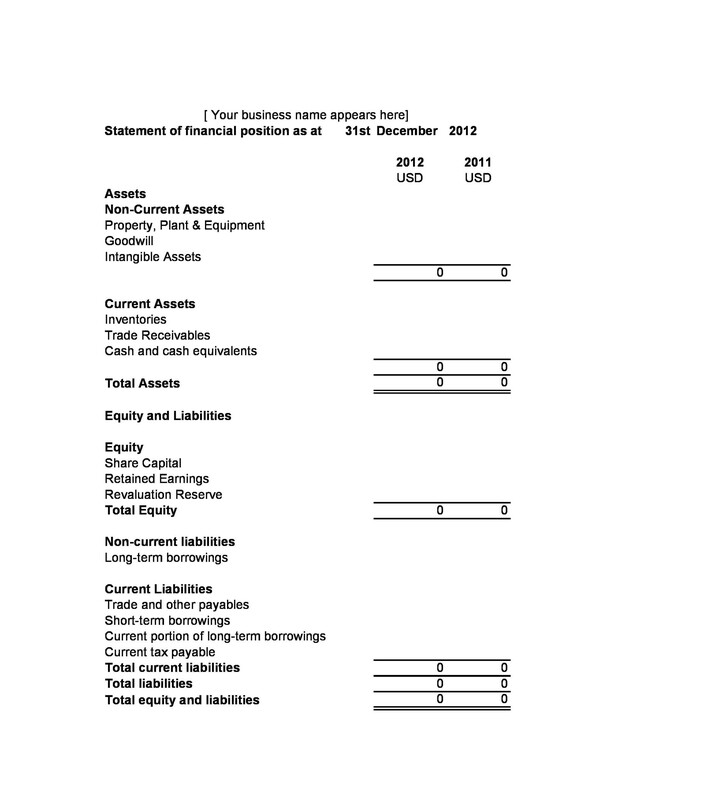 How Are Assets Valued on a Balance Sheet Template? For the purposes of the balance sheet, the assets are the total of everything your business has are valued by the business. This might be something that’s in the form of real property, such as an office building with a parking garage. It could also be stocks, bonds, or working capital such as heavy machinery and equipment. Some businesses will even include their unsold inventory in this section. When valuing your assets, it’s best to err on the side of caution. This means that if equipment depreciates, you should list what it could currently be sold for. A general rule of thumb when ascertaining assets is to choose either what you paid for it, or its current fair market value. You should choose fair market value for any equipment or working capital that may be a few years old, because it will not be worth as much as you paid for it. On the other hand, if you are counting real property as an asset, you will want to choose what it is currently assessed at, rather than what you paid for it. Real property values can grow over time. If you pay tax on your real property, then you will want to use what it is being assessed as. 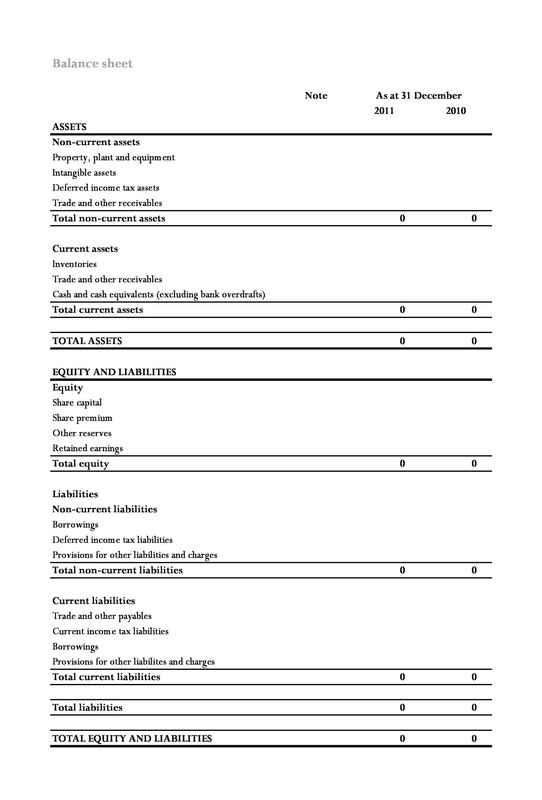 How Are Liabilities Valued on a Balance Sheet Template? What is a liability, exactly, anyway? 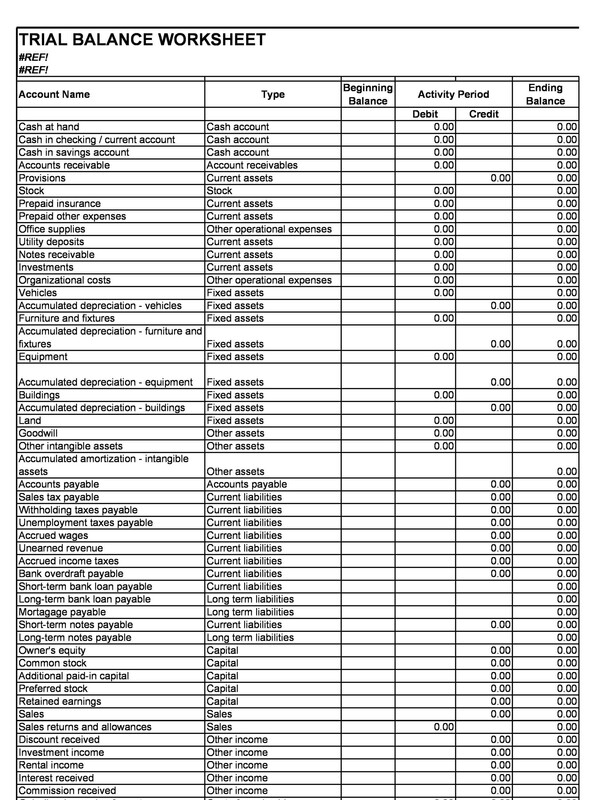 This is a list of ongoing debts that you are carrying. This may be a monthly real estate mortgage payment, money that you owe to vendors or even money you owe to your employees. You can even count loans that you have paid to your business from your personal finances. When measuring your liabilities, do not undervalue your liabilities. Liabilities should be included at amortized cost. This will be equal to the amount owed on them at that moment in time. 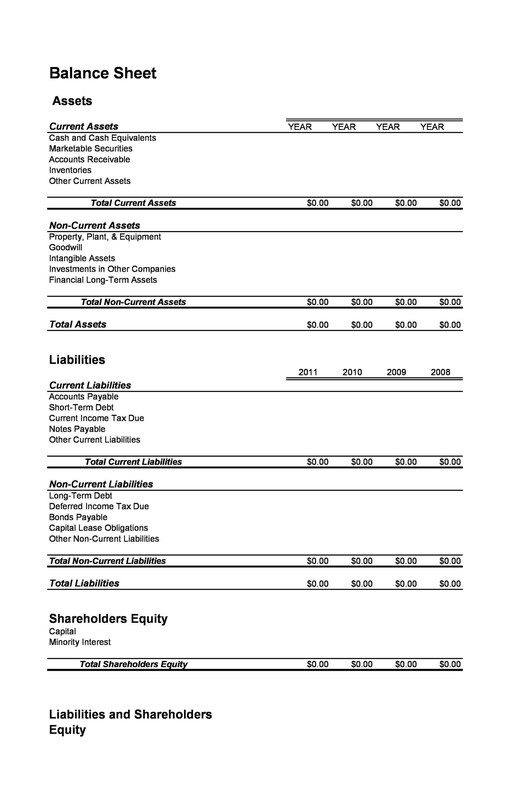 How Is Equity Valued on a Balance Sheet Template? 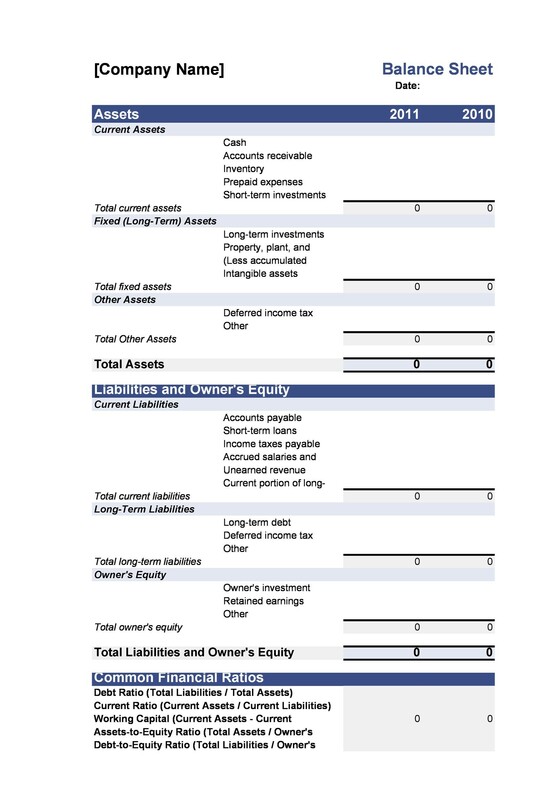 Businesses will typically use the equity section of the balance sheet in a bit of a different way from each other, depending on how the entity is structures. There are two types of capital that are typically put in the company. These are stock, contributed capital, etc. and then, the earnings of the company, usually called retained earnings. Capital that is contributed is pretty straightforward. If your assets are something other than cash, such as machinery, or stock in another business, use the rules for the valuation of assets. This means you should choose the lessor of cost or fair market value. Retained earnings are a little different. Remember the formula for the balance sheet? (Assets = Liabilities + Equity?) 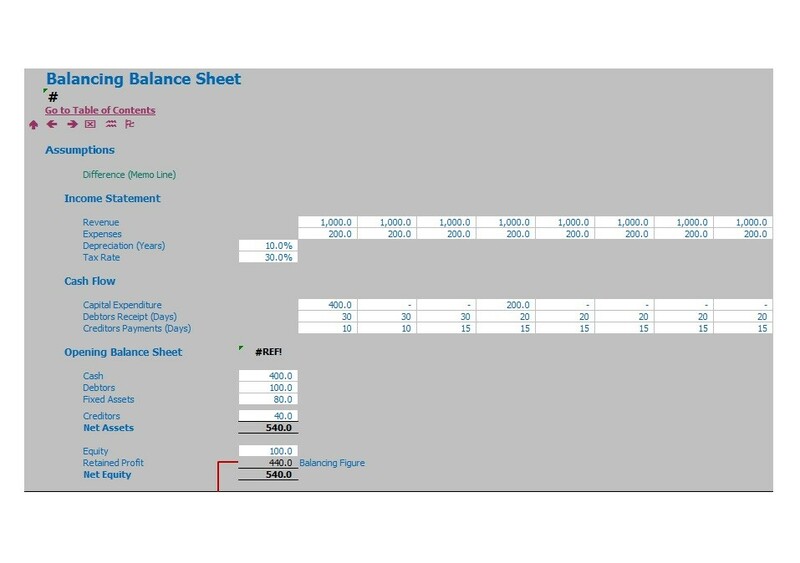 If you’ve filled out the rest of your balance sheet template, then you will have only retained earnings left to work with. Therefore, retained earnings are equal to Assets – Liabilities – Contributed Capital. By this time, you should have finished filling out your balance sheet template. 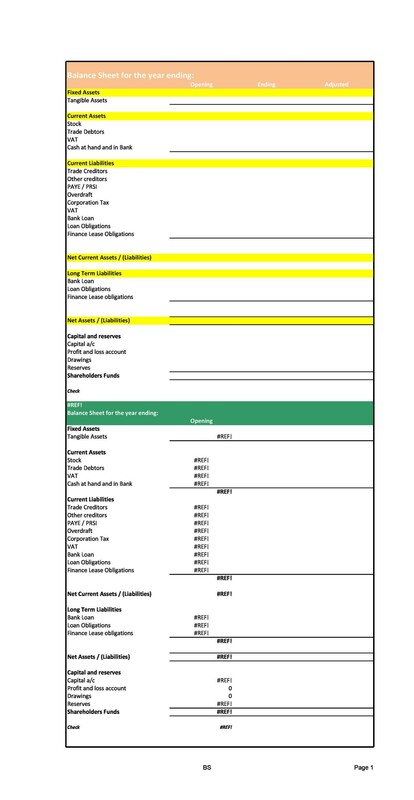 Whenever you send information to a potential lender or creditor, this will be the first sheet in the package. However, you will also need to get templates for your Profits and Loss statements and other financials in order to give others a clear picture of the direction your business is going in. 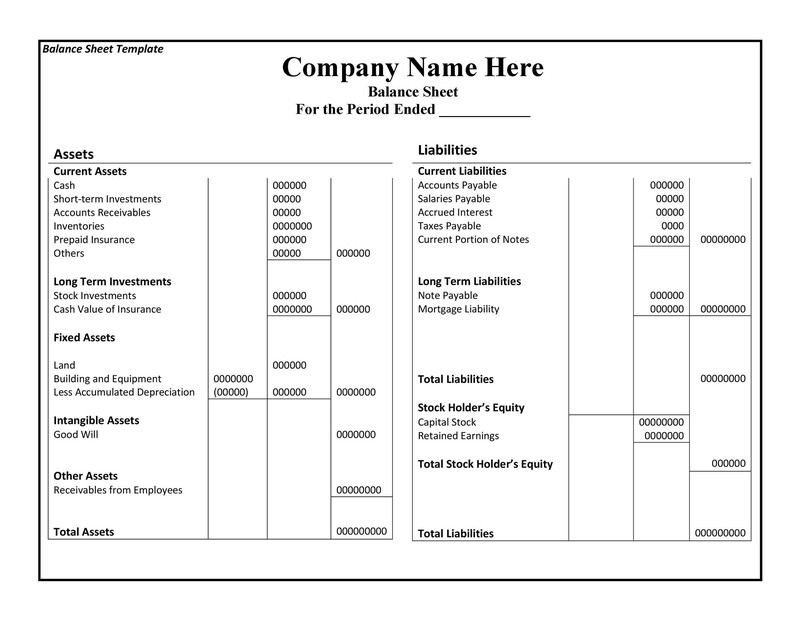 The balance sheet template is just a snapshot in time. 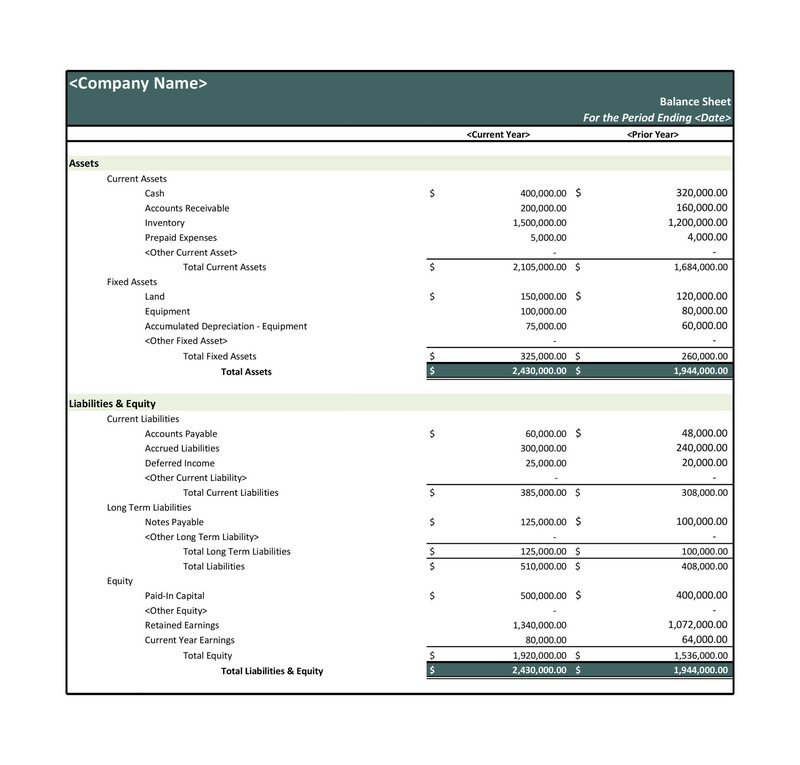 The other pages, such as profit and loss statements, provide a longer statement. 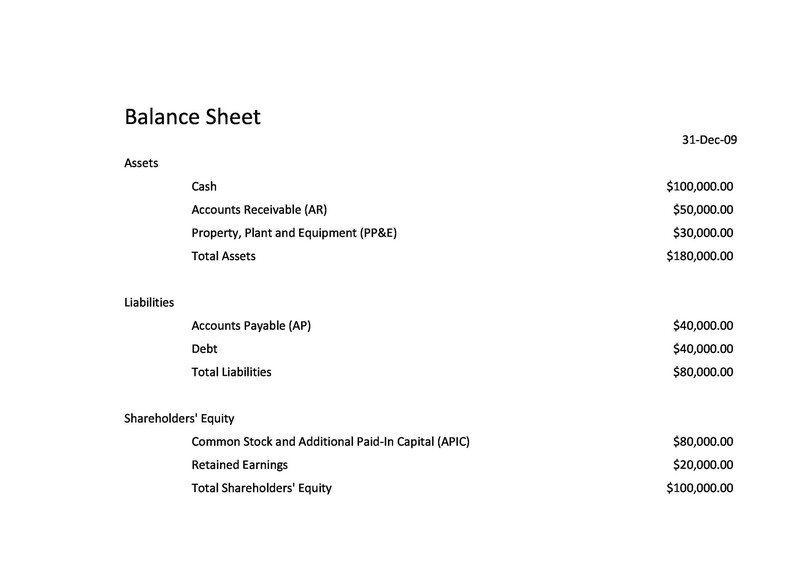 If you haven’t yet done it, please check this page for a balance sheet example. 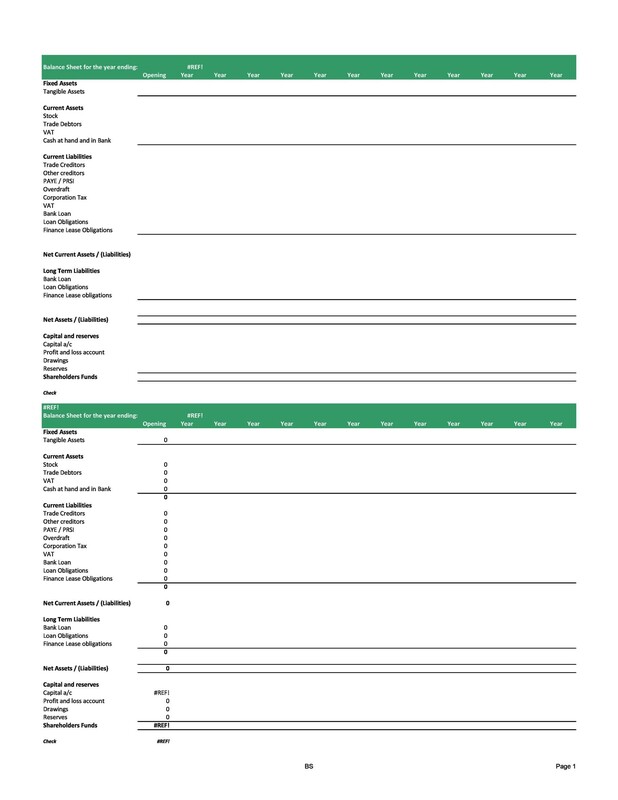 We have several free templates available for you to customize and adapt for your own business purposes. You will be glad you did! You may be wondering why you, as an individual, may need a personal balance sheet. The answer is that it’s an accurate and timely tool for measuring your financial worth and thinking about what changes you can take to enhance it. 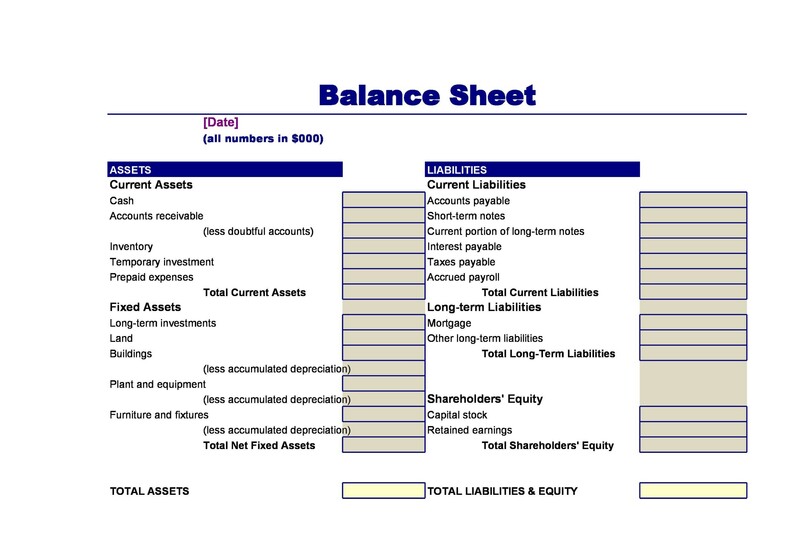 You should check out several of the balance sheet examples on this page to get a feel for how to use and read one. 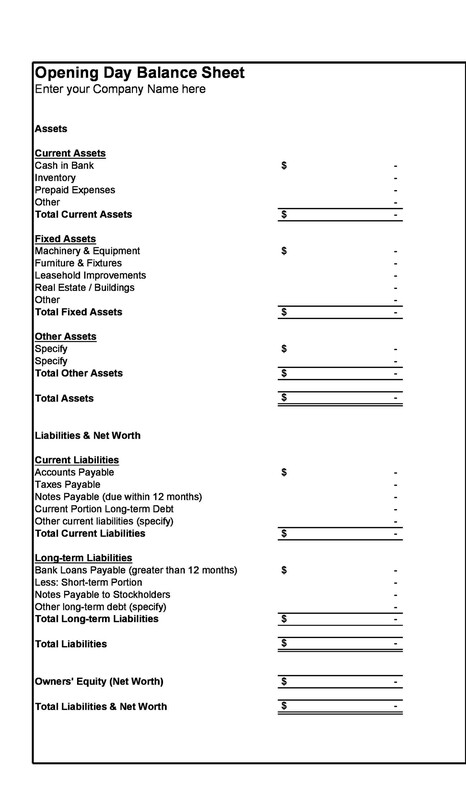 Like a business, your personal balance sheet will contain information about your assets and liabilities. This is where you will list all of your personal bank accounts, credit cards, and mortgage payments. Basically, you will need to list all of your outstanding debt as well as your assets. 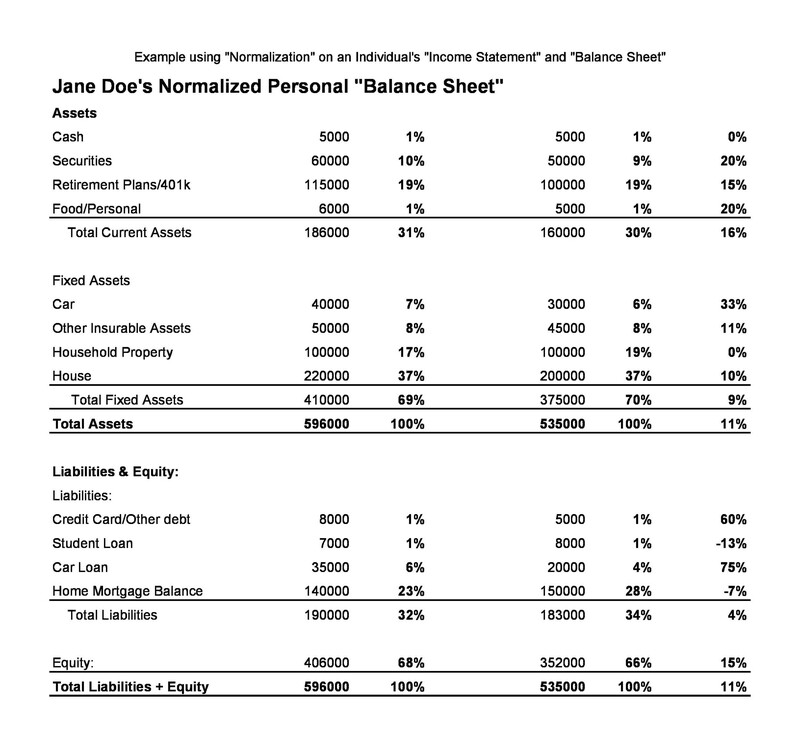 What Counts As Assets on a Personal Balance Sheet Template? Fixed assets: These are assets that you own that are tangible, real property. This would include any land you may own, your house or condo, or anything else in the realm of real estate. Floating assets: These are assets that can fluctuate in value, such as stock in a company, cash, or foreign currency investments. Intangible Assets: Patents, trademarks and licenses that you may own. Fixed liabilities: Liabilities that you will typically have for a long period of time. An example would be a 30-year mortgage or a 4-year car loan. Contingent liabilities: These are items that have the potential of becoming a liability. A good example of this would be a variable interest rate loan for real estate. It seems like a great deal at the time. Usually interest rates are quite low when the loan is first taken off. But if the economy takes a turn for the worst, your monthly payment could nearly double. These types of liabilities cause the financial crisis about ten years ago, and they threaten a person’s entire net worth. To start looking at your finances, you’ll need to total up your assets and liabilities. Once this is done, subtract the total of your liabilities to your assets. The total number you will be left with is your net worth. You may be unfortunate enough to come up with a net worth that is negative, or that adds up to zero. Others will come up with a positive number. To have true control over your finances, you’ll want to make sure that everything balances out. If your personal net worth is negative, or zero, you may want to start changing the way you spend money to improve your net worth as you grow older. You should try to pay down your liabilities as quickly as possible. Keep in mind, when you invest in something, some of your assets may taxable. If the value of this asset depreciates, you could end up paying taxes as a liability. For example, if you invest in some empty lots of land that suffer through something cataclysmic, such as a natural gas leak, or polluted water, the chances are slim that the land will go up in value. There are a lot of areas that become depressed due to something like this. Yet even in ghost towns, properties owners must pay their taxes. If you’re stuck with some worthless land or other assets, the best thing to do is liquidating or unloading the burdensome property. If your net worth is in the negative, you’re simply not managing your financial resources properly. 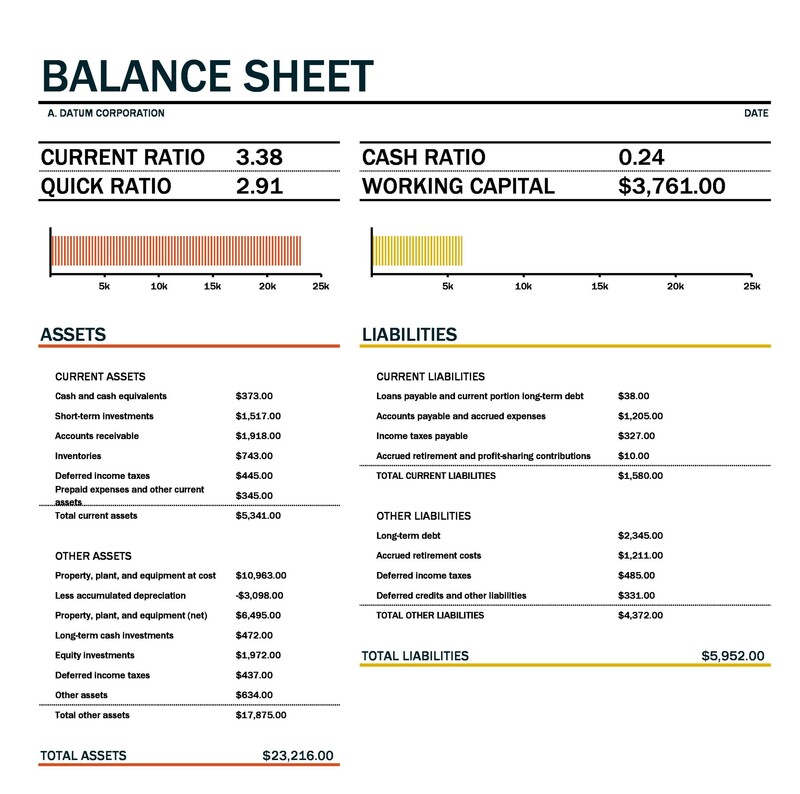 The balance sheet is a way to assess your finances in a realistic manner. You need to learn to manage your money so that you have the financial capacity to cope with things that come up in life. Emergencies such as car repairs, a health crisis, or even job loss can be catastrophic if you haven’t saved some emergency money. If you’re properly planning your person finances with retirement in mind, your net worth should be a positive. It should also grow. 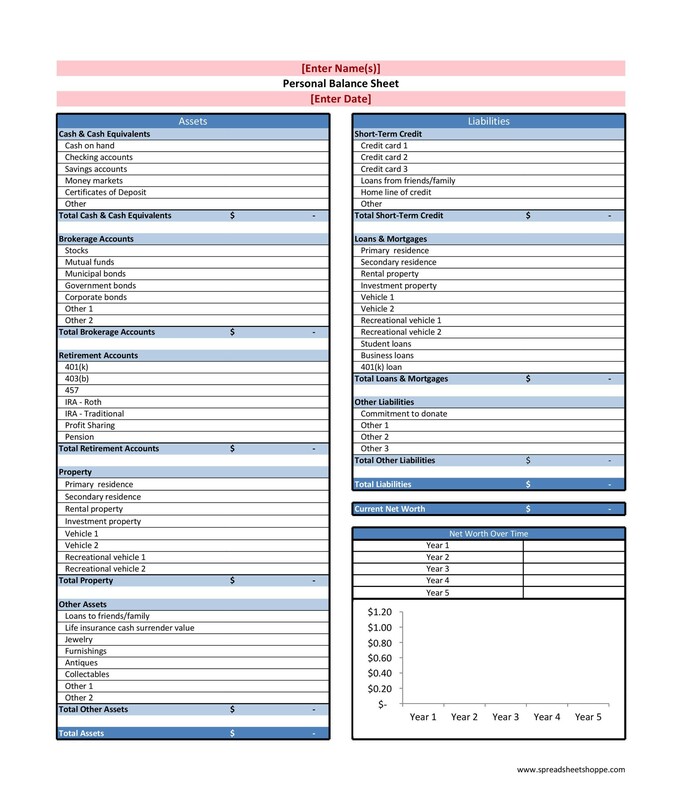 Look at some of the sample budget sheet templates to get an idea of what it should look like. 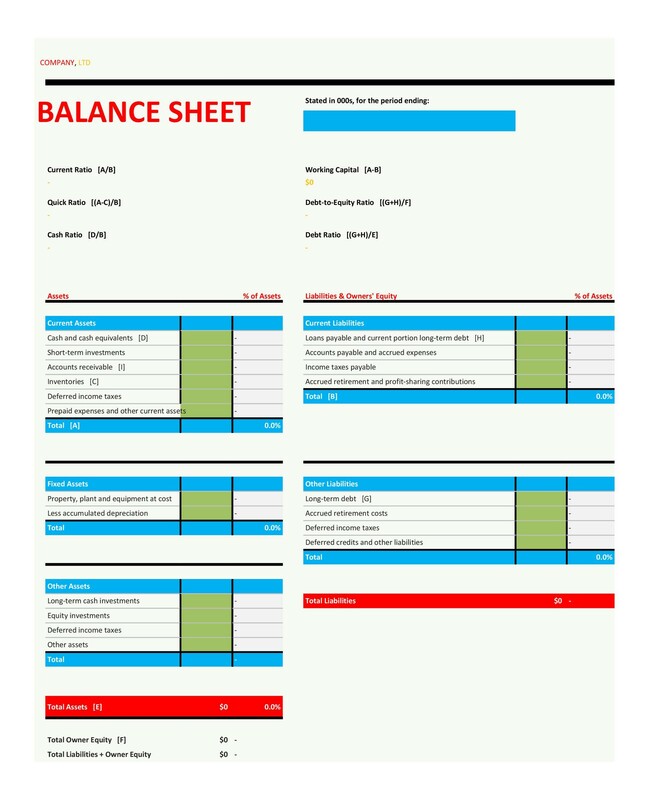 You should also check out various templates on this page to help you tailor your balance sheet the way you like it. Take a look at your most costly liabilities and choose a budget template to break down your necessities. 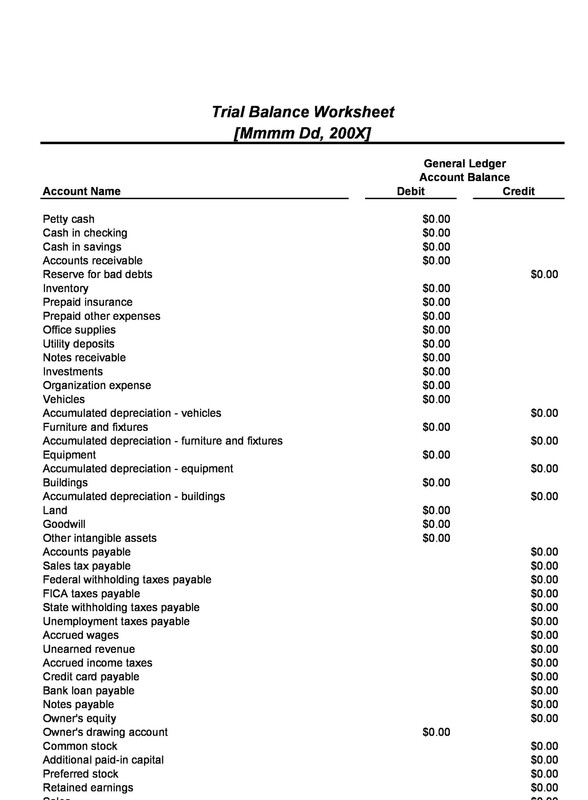 Food, housing, utilities, and transportations are often the bare basics of a budget sheet. You may have other necessities, such as medications or tuition, which are also necessities. When you are just starting out in the world, it’s perfectly acceptable to have net worth of zero. This is, in fact, the best time to start building your net. This is a great time to start building your net worth. This can really help you if you start saving for retirement. All of the money you put away today will allow the principal of compounding value to work its magic on your assets for decades. If you have a positive net worth that means that you are building assets. What’s most important at this point is that you manage your debt effectively. Pay debt down quickly and minimize your liabilities over time, especially your mortgage of your primary residence. When you own the title on your home, free and clear, you’ll be able to manage effectively. 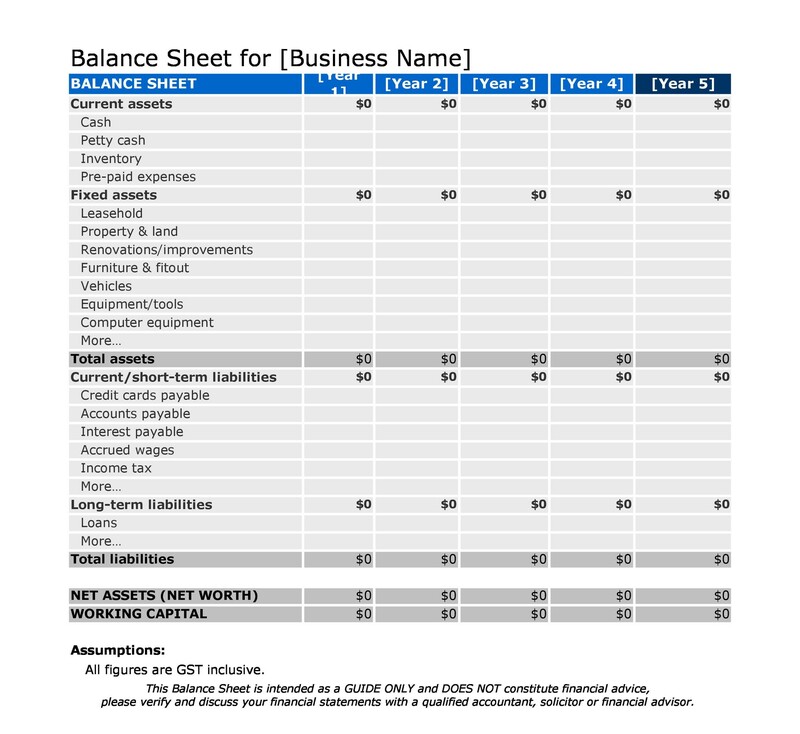 As you can see, a business balance sheet or personal balance sheet can help you see your finances more clearly as well as plan. 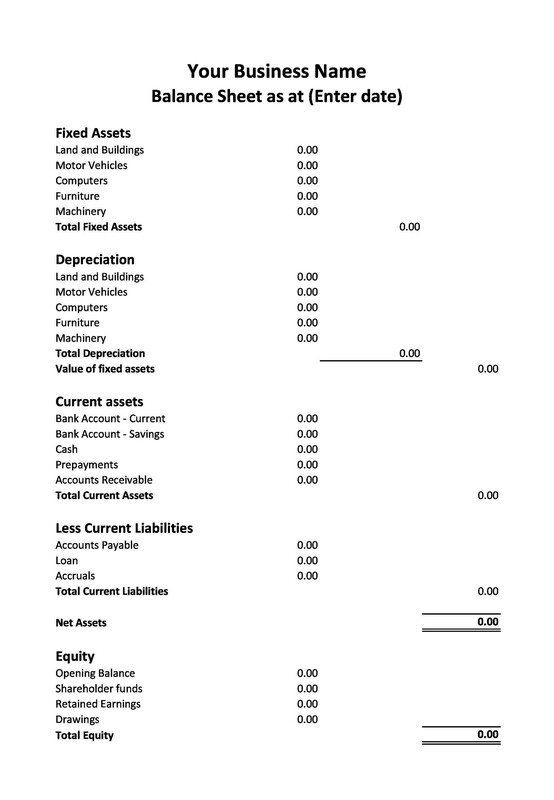 Make sure you download the balance sheet examples on this page. 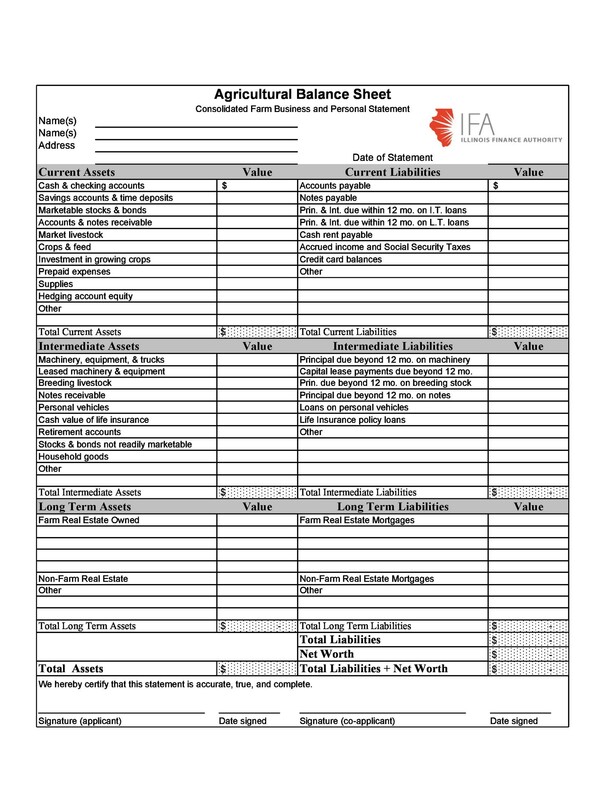 Our templates can help you get started looking at your assets and liabilities in a realistic way, today.